Dr. Peter Refela was born and raised in Los Angeles. 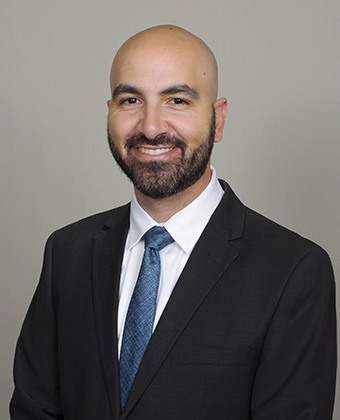 He attended the UCLA School of Dentistry for both dental school and his periodontics and implant surgery residency. He is currently very active in the field of periodontics and is a fellow of the American Academy of Periodontology and a member of the California Society of Periodontists, Western Society of Periodontology, American Dental Association, and California Dental Association. As a doctor, he is gentle and attentive to his patients’ overall health and needs. He always encourages patient participation and enjoys sharing step by step treatment plans so that they are fully aware of what to anticipate. His main area of expertise is in implant placement and treating gum recession with soft tissue grafts. Dr. Refela has been playing the oud, a musical instrument in the guitar family, for the last 12 years. He also likes to read classics literature and enjoys babysitting his niece. Have Questions? Complete this short form and we'll get back to you quickly.